September 26: Happy Birthday, Serena Williams! 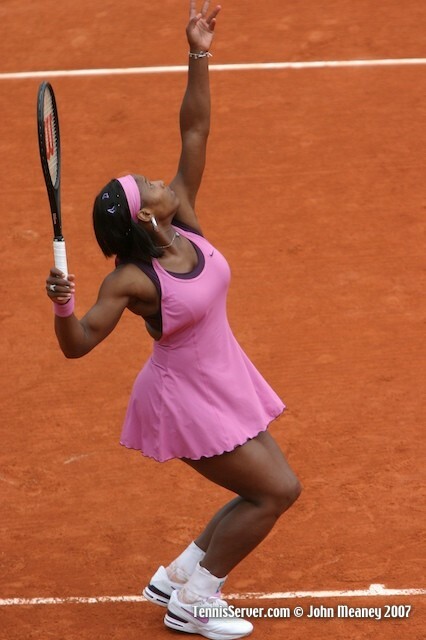 Happy birthday to Serena Williams, 27, Grand Slam title holder. Williams has won more career prize money than any other female athlete, in any sport, in history and is the fifth woman to have held all four Grand Slam titles at one time. She and her sister, Venus, who have both been ranked World No. 1 at one time or another (Serena has been ranked no. 1 on five separate occasions), often play doubles together; the two of them have each won two Olympic gold medals in doubles and have won 12 Grand Slam doubles titles together.